The world of weddings is a small one, we have been lucky enough to connect with some awesome people all a little creative and a little crazy as we all take the plunge making our dreams a full time gig! We met Renee right back at the beginning, we worked on a styled photo shoot together and the rest is history. Shes now become my go to for all things floral and we are lucky enough to be working on a few of the same weddings this coming season. Ok lets start at the beginning, who are you and what do you do? 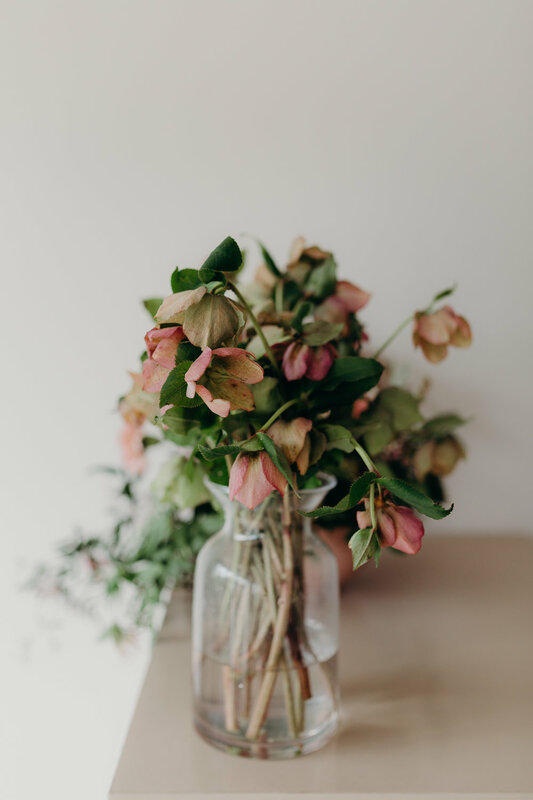 My Name is Renee and I am lucky enough to spend my days running Jardin Bell, my very own floral baby specialising in wedding and celebration florals as well as installations for retail and bouquets for all sorts of special occasions. On a more personal note my friends would say I am a very loyal friend, I am someone who goes out of their way to make sure my loved ones are okay. I admit I am a total people pleaser so my Brides are in good hands!! I am also a self confessed Hopeless romantic, avid gardener, Fiery leo. Where did the name Jardin Bell come from? Jardin - is French for Garden, and my name 'Renee' is also French so that’s the connection. 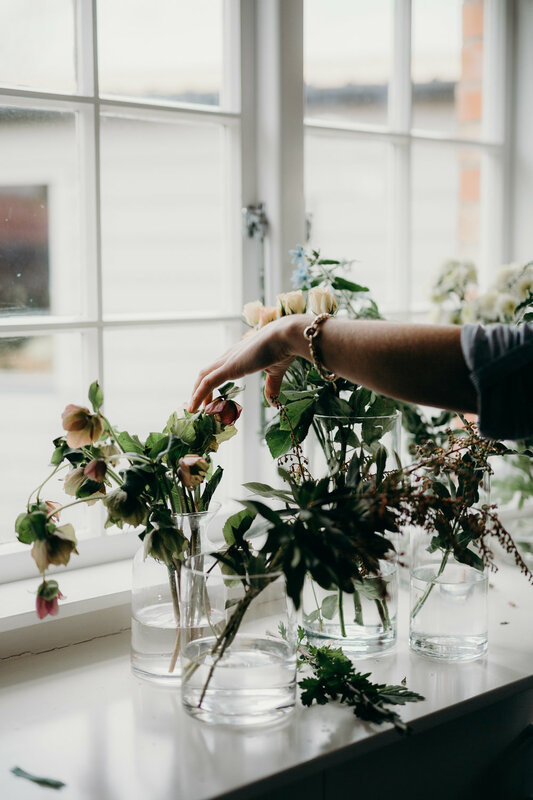 A little birdy told me you’ve left the corporate world to pursue floristry, What was the turning point that made you take the plunge and go full time? Any regrets? No regrets whatsoever! The turning came after a trip to south america. Seeing how happy others were, doing what they loved and living on less but with a much more fulfilled and enriched life. Life is to short not to do what you love! What advice would you give brides on how not to be a pain in the arse client? Hahah! Let the experts create something just for you. Its wonderful to share images of pinterest and other amazing Florists out there but it will never be the same. I like to let the seasonal blooms and colours guide me. That way its individually created for you and your partner. what exciting projects are you particularly looking forward to this year? Oh this is tricky.. all my brides are amazing! Top three that are stand out for me though.. would be a couple who are to be wed at her parents home, views over water, with big tropical palms, gold accents, dried and fresh blooms intertwined. Another at Kauribay boomrock - lots of bold, bright flowers in the early start of summer which brings my favourite Dahlias into the mix and Lush greenery over the rustic arch with that stunning view! Lastly - A palette I have't done much of, browns, white cosmos and some burnt orange with draping dark foliage and trailing silk. Think very autumnal. YUM. What flowers/trends are we going to be seeing more of? I think this is the year of the dried! My brides are also getting much more conscious and we are loving incorporating in more locally grown blooms. Colour wise I’m seeing lots of peach! Pinkls might be taking a back seat for a bit! How do brides get in touch to find out more or book a workshop?